If you are in Tooting Broadway SW17 and need a reliable and good partner in property cleaning, Magic Carpet Cleaning will offer thorough cleansing and special services at excellent prices! Call us at 0208 861 0979 and you will receive a free tailored offer! Trust our team of experts that is certified. Teams of Magic Carpet Cleaning are dedicated professionals and are fully certified. With us, you will find the best service and the latest methods in cleaning. We have chosen to work with 100% green detergents that do not destroy the treated fabrics and protect both the environment and your health. We don’t rely on hidden fees and charges because we value the transparent relationships with our customers. Our team has thenecessaryskills and qualifications toremoveoldstains from all contaminated surfaces in thehome, office orstore. We give a 100% guarantee of the quality we offer. You have a problem with the dust in your home? You want to secure a healthier environment for your kids? You are afraid that your pet can cause allergies? If the answer to any of the above questions is yes, then we have a solution for you and it is called steam carpet cleaning. The steam cleaning method is among the most efficient cleaning approaches currently used. The hot water used in steam cleaning kills germs that cause allergies. Our team of specialists sprays the rug with preparations under high temperature using special tools and machines and then retrieves dirt together with the preparations. The method can be implemented both in private homes and office buildings. With the dry compound cleaning approach, you can have your property cleaned fast and effectively and then meet your clients or visitors immediately after cleaning. This is possible because this washing method does not use water and there is no waiting time for the floor to dry. This type of treatment also prevents mold because of the lack of water and steam. So, you receive a clean carpet with a longer life. Magic Carpet Cleaning has highly qualified cleaning specialists who are fully prepared for a complete washing of various surfaces in the residences, offices and commercial buildings of our customers. They are certified and pass trainings to ensure high level of professionalism. They handle all types of stains. You can check for yourselves by calling 0208 861 0979. 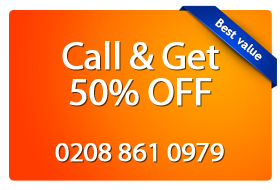 Look for the best specialists for carpet cleaning in Broadway SW17 at: 0208 861 0979. You won’t be disappointed with the result.